We all know what’s wrong with men. Let’s be honest, the media, and politics, and sport, and business, and entertainment, and just about any other field you can think of are not currently awash with great examples of non-toxic masculinity. At times it feels like we could probably cancel the whole ‘male’ project and start from scratch and nobody would mind too much. But what if you are a man, and you’re a father, and you’re responsible for raising men? Fans of Penelope Fitzgerald rejoice! 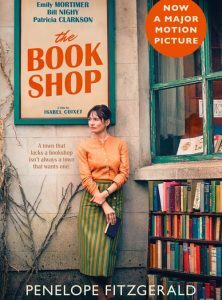 The film adaptation of her much loved (and Booker-shortlisted) novel The Bookshop will hit the big screen this June starring Emily Mortimer, Bill Nighy and Patricia Clarkson. And, there is this rather lovely film tie-in edition to celebrate. Four siblings. Forty years. The very first Irish Pope? A big-hearted, funny, sad, dazzlingly ambitious novel about the messiness of love, family and belief – and how nothing ever turns out quite how we plan.